Spanish frim Covinil has invested in new Bobst Integrated Solution to convert AlOx high barrier transparent films. The company purchased new K5000 2450 mm vacuum metallizer, which features Bobst process innovations including DarkNight for high barrier metallized films, AluBond for high metal adhesion and AlOx for high barrier transparent films. Bobst said that the package includes the Hawkeye pinhole detection system which is an integral part of both the DarkNight and AlOx processes. The Hawkeye system is designed to detect pinholes and other defects for improved barrier properties. It also accurately measures optical density to improve uniformity, the company said. Bobst noted that its Integrated AlOx Conversion know-how allows Covinil to provide high barrier performance with excellent film transparency. The Spanish firm also invested in a AlOx optimized coating platform from Bobst Italia. Covinil owner said: “We are experienced in the area of producing metallized films but when we needed to increase capacity, we also wanted to invest in the latest process innovations in order for us to enter new markets, in particular in the area of AlOx coated PET films. 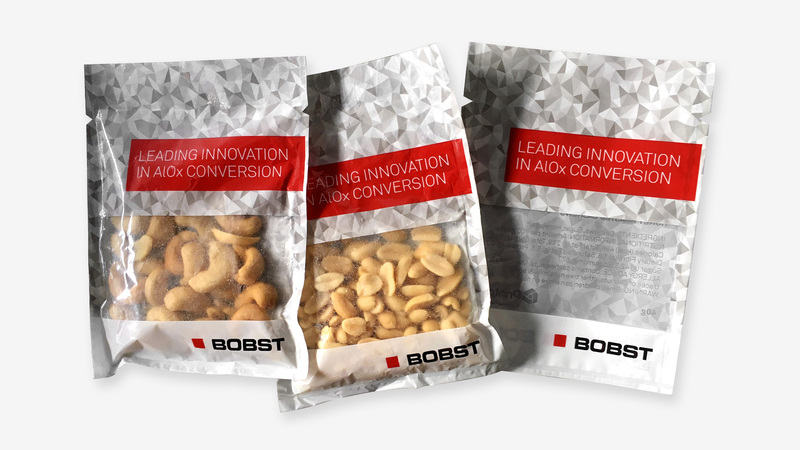 “Bobst are well known in the industry for their AlOx process but as a converter, we were also interested in its behaviour during conversion processes. Covinil will have access to two topcoat formulations for implementation on a new Bobst Italia coating line to provide protection and enhanced barrier functionality to the AlOx coated PET films. These films, once the offline topcoat is applied, can then be further converted using standard equipment and without any significant barrier deterioration, Bobst said. Image: Covinil invests in BOBST integrated solution. Photo: courtesy of BOBST.